Christina Collins: Blog Candy WINNER! 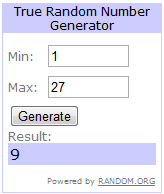 It's Saturday which means it's time to announce who won the blog candy giveaway. Congratulations, Corinne! Please email me at c.inezcollins@gmail.com with your mailing address so I can ship these goodies off to you.